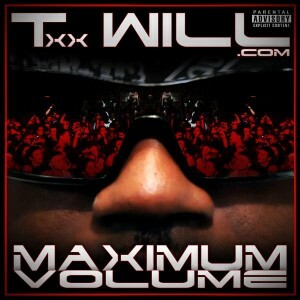 Txx Will’s first solo release, Maximum Volume, is slated to hit stores Spring 2011 and promises not to disappoint. Txx Will is just aware as you already are that his comeback to the forefront of the rap game has been long awaited and he wants to prepare you for what will be one of the most spectacular album releases of the year! With features from some of the best: Lejo, Big Scoob, Tech N9ne and more, this is definitely a must-have for any one who would consider themselves a fan of Txx Will!